What have you been told about bodies that is actually not true? 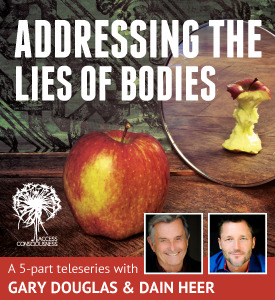 Are you embodying the lies you have been told like "you are what you eat?" or "It's genetic." Do you believe exercise is the only way to get a result or lose weight? Is your body ever truly "good enough" for you? Or are you constantly trying to figure out how to have a better body or fix what's wrong with it? The idea of this series is to take away the lies about your body and give you a place to be with your body that doesn't require judgment… a place form which you can actually create!